I love getting my car dirty but I am a bit fussy about cleaning it up, I was wondering what other people use in the way of polish and why. I have settled on Auto Glym ultra deep shine. 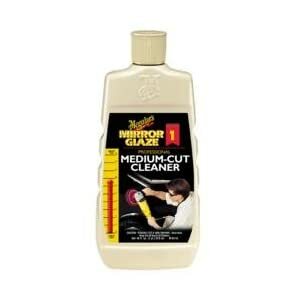 It leaves the surface really smooth and gives a great shine, it's not as easy to apply as some but I have found it a lot easier to clean after getting dirty and I don't have a problem with water stains. Brought the car up like new and got rid of 90% of my offroad scratches(which were really bad) and bought the shine back to most of the paint.. I use Porzelack (this is unobtainable these days), but any polish with a high Carnauba wax content will be fine. The higher the percentage, the higher the cost, and the better the quality ... A tin of the good stuff usually costs around $30+. In between times and before waxing, I use Turtle Wax car wash. This contains both preservative waxes that seep into body joins, and also has no salt in it. All household detergents contain salt in one form or another, and should never be used on cars. I use the same as what taza mentioned above; Meguiar's. I find it works & lasts the best & is easy to put on & take off. i use a Gerni Hasn't been hand washed or polished for years & years. Still looks alright though. I don't use anything - just wash it when it needs it and dry with a chamois. Yet people are always commenting on how far I have driven it and how good the paint looks. They just haven't looked too closely at the stone chips. ^ haha - me too! Upon seeing it, someone asked me the other day if I had purchased a new car!